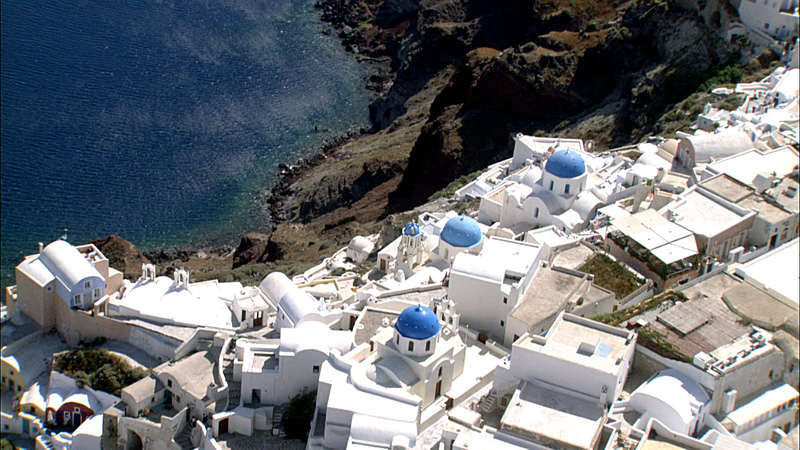 Shot in high definition from a helicopter-mounted camera, VISIONS OF GREECE showcases the mainland of Greece and the Greek islands from a vantage point only the gods on Mount Olympus have had before! 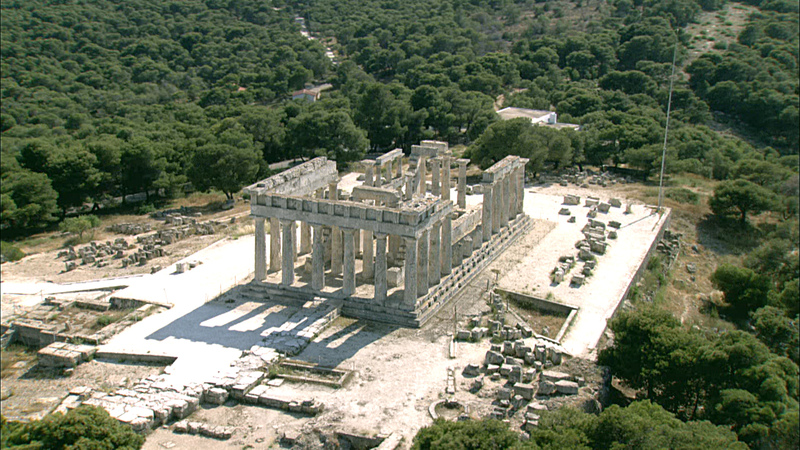 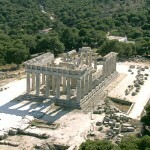 CUTLINE: Storied ruins, like the temple at Aphea, speak to the glory of Greek history. 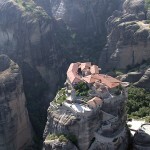 CUTLINE: In Meteora on the Greek mainland, inaccessible monasteries built into the mountains seem eternally suspended between heaven and earth. 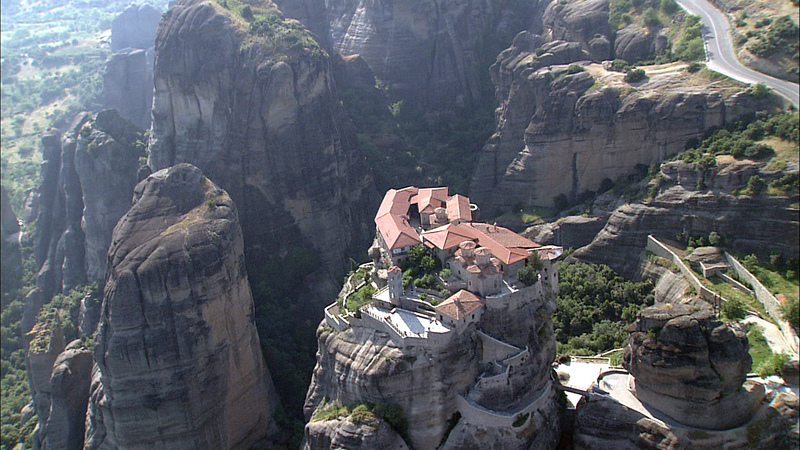 Pictured: Varlaam Monastery, founded in 1518. 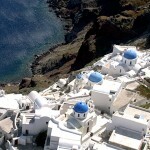 CUTLINE: Greece's vivid palette of pure-white beaches and Aegean blue is captured in the church domes that dot Santorini.